MKinMotion.com – Page 3 – Will Blog for page views. Nowhere Nights is a great collection of songs. There’s a tone to the songs that stitches them together into one cohesive work. Being from the Pacific Northwest, I can identify with one of his themes. There are good things and bad about your hometown and sometimes it seems what you miss isn’t the right stuff. In the opening track “Bellingham Blues” and “Home” both have this sense. There’s a sea of singer-songwriters out in the industry these days, and as unique and genuine as Kasey Anderson’s music is, he’s largely ignored by the big business music world. 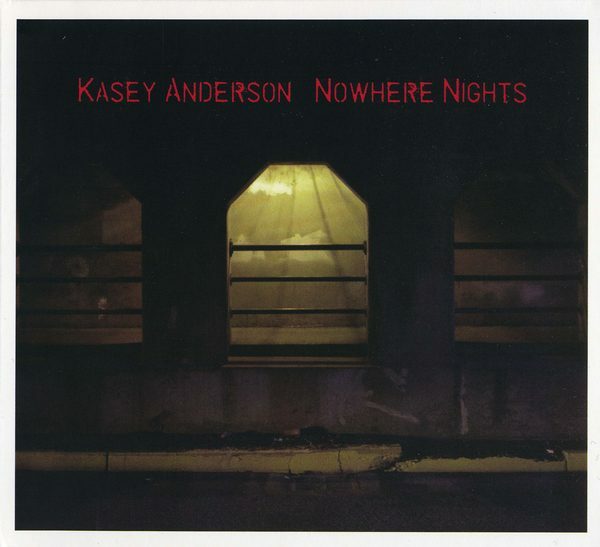 With Anderson’s voice and the darker tone of his songs, Nowhere Nights reminds me of a Pacific Northwest version of a Drive-By Truckers album. Another must listen track is “Like Teenage Gravity.” With the piano and guitar working together it delivers the message. The album has a great balance between Kasey just singing and playing guitar in the way that I saw him play in Portland and utilizing his band to fill in the mood. On “Real Gone” the electric guitar and drums help drive home the emotion of the chorus. The album is brilliant and should be added to your collection. I’m already looking forward to hearing the next collection of songs from Kasey. You can find Nowhere Nights at Amazon or iTunes. Also, follow Kasey on Twitter for pithy observations, cultural criticism, and gigs from the Portland based artist. 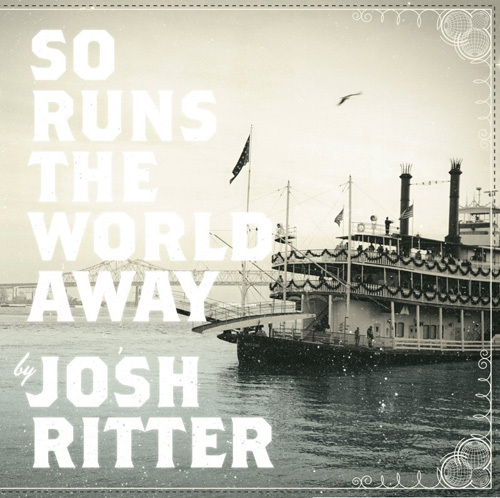 If you’ve been paying attention to MKinMotion for anytime at all, this comes as no surprise: Josh Ritter is incredible…prepare for a string of superlatives. The last three albums he’s released The Animal Years in 2006, The Historical Conquests of Josh Ritter in 2007, and So Runs the World Away in 2010 make for a trilogy of stories that take you from the Old West, the world at war, and even ancient Egypt…plus his home state of Idaho. The album kicks off with a quick little intro called “Curtains” and immediately introduces an amazing contribution to the ongoing catalog of amazing with “Change of Time.” Four chords repeated would suggest a simple song, but the imagery and tone take you through a string of emotions as the lyrics drift in and out of coherence. “The Curse” is a waltz ballad. The story of a mummy and a scientist. The only thing I can do to explain the beautiful tragedy is to force you to watch the video. Puppets! If the waltzy soft nature of “The Curse” brought you down, you require a taste of “Lantern” and “The Remnant.” It’s impossible to not smile while listening to Lantern…impossible. And “The Remnant” shows that despite the dreamier tone to the opening tracks, Josh still has the ability to pound his foot on the wood floor. The images make me think of a John Hillcoat film…”The Road” or “The Proposition”, take your pick. I love “Orbital.” There’s a lot going on in this one. Lots of music happening and lots of images of things running around each other. Ritter is good at drawing pictures through the words and music in a way that always garners comparisons to Springsteen and Dylan. Buy So Runs the World Away, and if you haven’t yet, pick up the other two albums mentioned The Animal Years and The Historical Conquests of Josh Ritter. You will not regret it. I’ve said before that I learned about Arcade Fire late enough to not be considered in-the-know, but early enough that I rode the wave in 2005 as they caught fire. Their debut album Funeral is still a favorite of mine and made my best of decade list. I liked their second album Neon Bible, but not as much as Funeral. Bands tend to struggle sometimes with making a third album. My first listen of The Suburbs was met with less than enthusiastic ideas. However, I didn’t give up. The more I listened the more I started to discover really great moments on the album. If a band can string together enough great moments onto one album it makes a huge difference. 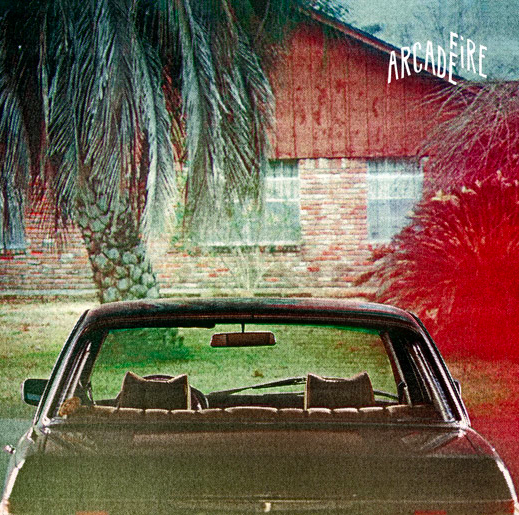 The opening track “The Suburbs” has a great feel. There are lots of images that ring true to my upbringing in a suburban cul-de-sac. Ready to Start makes me bob my head and tap my foot. It’s pretty powerful. The third track “Modern Man” makes me play air guitar. It’s got a great rhythm and feels the most like a pop single on the album. “City With No Children” is another song that looks at the transition from childhood to adulthood and the turmoil that happens at those moments. The whole album is chock full of great moments and energy. Definitely worth picking up and adding to your collection. When The National hit my radar, it was 2007 and they were getting all sorts of buzz for their Boxer release. It was one of my favorite albums of that year. 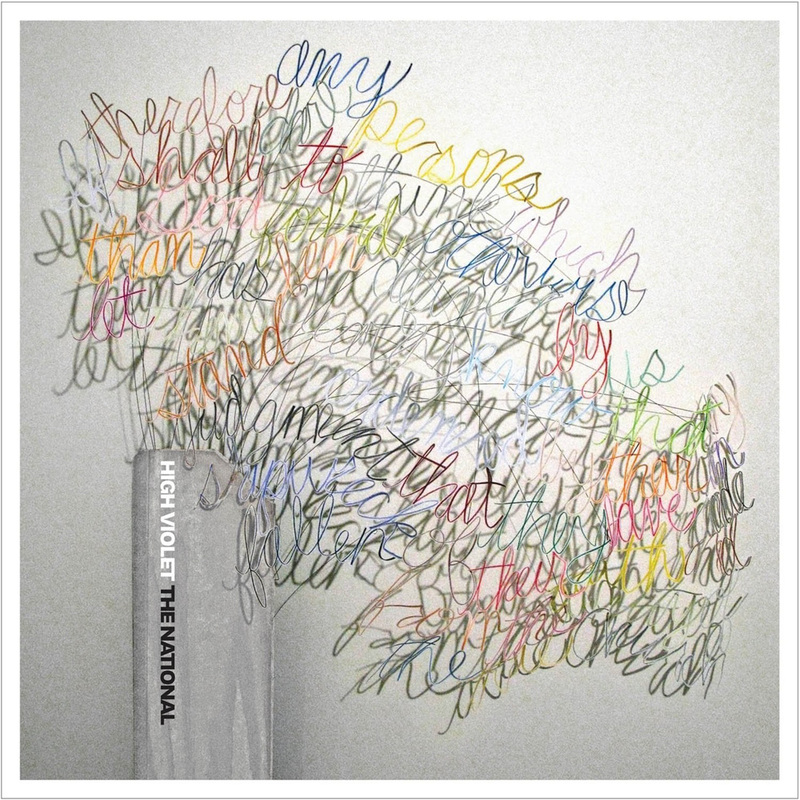 Rumors of a new The National album had been going around for a while, but when High Violet officially hit stores in May, it couldn’t have been a better payoff of anticipation. As expected, High Violet continues the exploration of the darker side of emotions, the good kind and the bad kind, as The National have done so well in the past. The danger would be to label The National as predictably dark. That would be underestimating the sneaky tones of hope that litter the songs. Don’t let the baritone fool you. The deceptive lyrics will do that for you. The opening track is “Terrible Love” which in title alone tells you where it’s going. I’m not a big lyrical analysis guy, but it seems like “Terrible Love” is taking us to a place where the right thing is to not fall in love. Another track that stands out is “Bloodbuzz Ohio.” This was the song that was the pre-release single that hit their site in March, months before it the album would be released. Dark in its tone, it has a driving rhythm that coupled with the title makes me think back to driving through Ohio. The drums and rising brass and breaks in rhythm are superb. “Conversation 16” is about marriage. I know this because Matt Berninger told the audience at the Austin City Limits Festival. When you have that context, the lyrics get a little darker. Whereas before a song where the chorus is repeated “I was afraid I’d eat your brains” was dark enough, but the rattle of going through very familiar things that a couple would discuss shows a perspective that a marriage can become rather mundane when looked at from the outside. Still when I hear “England” it resonates with something in me. The craftsmanship of the song is brilliant, it builds on itself in an unconventional way. 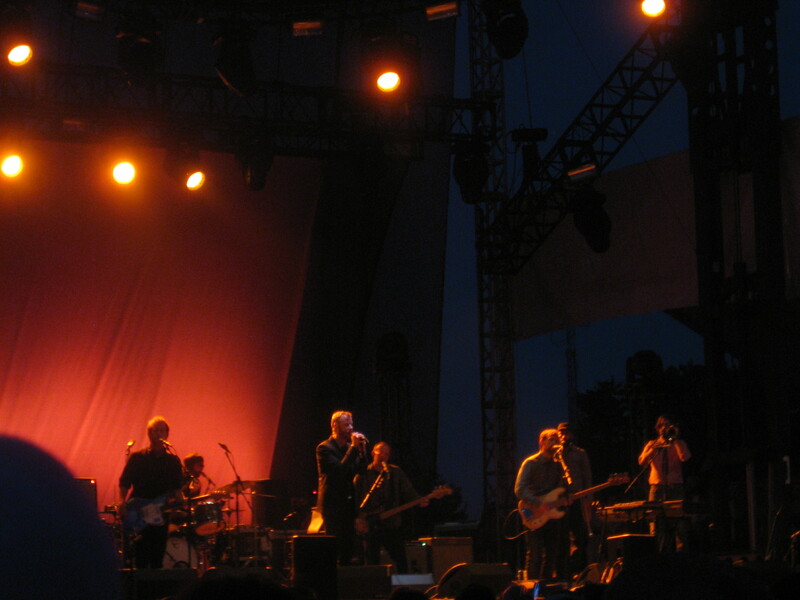 The climax of the song is repeating a chorus as the music builds around Berninger’s voice. High Violet is available in the standard and expanded edition from Amazonmp3.com and for a limited time, the whole album can be downloaded for $1.99. Sunday was bittersweet. The bitter in that it was the last day of ACL, but the sweet that it promised to be a great day. On the agenda for Sunday were Blind Pilot, Dawes, The Morning Benders, Edward Sharpe and the Magnetic Zeros, Band of Horses and The National. I loved Blind Pilot’s set. It was solid and had a great turnout despite being so early in the day. They played mostly from their 3 Rounds and a Sound album, but mixed in a few new songs. The new songs have a new sound to them, lots of energy and fun, makes me really optimistic and anxious to hear what’s next from Blind Pilot. Dawes was a great follow-up. Wherein Blind Pilot brings a Portland feel to the folk/rock, Dawes brings a Southern California feel. Their 2009 release North Hills is really good, some standout songs are “That Western Skyline” and “When My Time Comes.” I felt a great feeling of hope when listening to Dawes. We made our way down to the far corner stage for The Morning Benders. I didn’t and still don’t know much about The Morning Benders except that they’ve always reminded me a little of early Weezer and that they covered The Cardigans’ “Lovefool” a few years ago. They brought their energy and A-game mixing in power pop, and lots of guitar. The crowd was into it, and that goes a long way in a festival. Check out “Excuses” from Big Echo, their 2010 release. What can I say about Edward Sharpe and the Magnetic Zeros? Fact one: There is no one in the band named Edward Sharpe. Fact two: if you know nothing about the band, you’d probably recognize their song “Janglin’” from the surreal Ford Fiesta commercials. Fact three: they might just be insane…insanely good. The energy, and artististry that they brought to their set was incredible. I walked away jealous, uplifted, and with both “Janglin’” and their song “Home” stuck in my head for days. Check out their self-titled album, you will not regret it. Band of Horses were up next on the stage directly behind us, but also the stage that the overall headliners of the festival, The Eagles, would be playing on to close the festival a few hours away. It was flooded with people camping out. Rather than deal with the crowd too much, we found a nice place to plop down on the grass and be able to clearly hear Band of Horses crank out great song after great song. Because we jumped out of the mess that was the main stage a little early from Band of Horses/The Eagles we lucked into being very close for The National. This was at the top of my list of bands I was looking forward to and also planned on it being our last band of the festival. It could not have been better. The band ran onto the stage the moment that The Flaming Lips ended their set on a nearby stage (with “Do You Realize?”, of course) and lit right into a set of mostly songs from their 2010 release High Violet and their wildly popular Boxer from 2007. They mixed in some old songs, but blazed through energetic, loud versions of songs I’ve come to love. There’s an emotion that their music touches that makes them unique; maybe it’s singer Matt Berninger’s brooding baritone voice, or the power of twin brothers Aaron and Bryce Dessner on guitars, but part of it is the energy that comes from a great rhythm section driving their melancholy songs. If you don’t already have Boxer AND High Violet in your collection, run don’t walk to however you get your music and add them. Despite a lack of what is traditionally perceived as “good stage presence” the band wears their emotions on their sleeves and in this performance they slit their wrists and let the blood spray all over the crowd. They played well beyond their time limit citing permission from Glenn Frey of The Eagles to play for an extra few minutes. It was easily on my top 5 list for moments of the trip. Exhausted, dirty, sun burnt, hungry, and sore we allowed The Eagles to serenade our walk to the taxi stand with “Hotel California” and “Peaceful Easy Feeling” it couldn’t have been better. Thursday was an off day from the Festival. I got to have lunch with my former boss who moved back to Austin. I got to take a tour of his offices and facilities in West Campus of University of Texas. His company is doing some exciting things and growing like crazy, it reminded me of the old days when we worked together in what was essentially a start-up. Friday marked the opening day of the official festival. Having been to ACL before I understood that there needed to be a little bit of planning and strategy to the day. With 130 bands on 6 stages over 3 days, there are plenty of bands that overlap other bands and deciding when and where you want to be to see who. Compromises have to be made when two bands you want to see play at the same time. On the list for Friday was The Mountain Goats, The Black Keys, Spoon and Vampire Weekend at the festival and then catching Monsters of Folk and Blind Pilot at Stubb’s for two aftershows. I didn’t know much about Mountain Goats going into the festival, other than that they’d been around for quite a while and a few of their songs consistently show up in my iTunes. John Darnielle is a great front man. The primary songwriter is funny and engaging. At one point he said, “To the dude who keeps yelling [song title I can’t remember], I have heard your cry” and also talked about the fact that singers don’t go into music business if they don’t have an ego issue to work out on stage. The Black Keys are one of the hottest American bands out there right now. The crowd that was stacked up to see their ACL set was definitely proof of that. We got relatively close, but knew we’d have a chance to see them the next day play a full set at Stubb’s, so fighting the crowd wasn’t necessary. They started off with several songs with the traditional two-piece lineup of Dan Auerbach and Patrick Carney, brought a bass player and keyboard player out for some of the songs off of their new album, and finished the set as a two-piece. It was loud, tight, and got the crowd moving; exactly what you want out of a rock band! Check out “Everlasting Light” and the rest of their near flawless album Brothers. Spoon is one of the bands in the ACL lineup that I’ve seen before. I love their upbeat music with a driving beat that almost commands that you bob your head and tap your foot. Being from Austin originally, Spoon drew quite a crowd. Highlights for me were seeing a handful of songs off of Ga Ga Ga Ga Ga and Gimme Fiction. Check out “You Got Yr. Cherry Bomb” from Ga Ga Ga Ga Ga. The thing about Vampire Weekend is they are madly popular…and very good. Put those two factors together and you’d be as confused as I was to see that they were scheduled to play on of the smaller side stages. 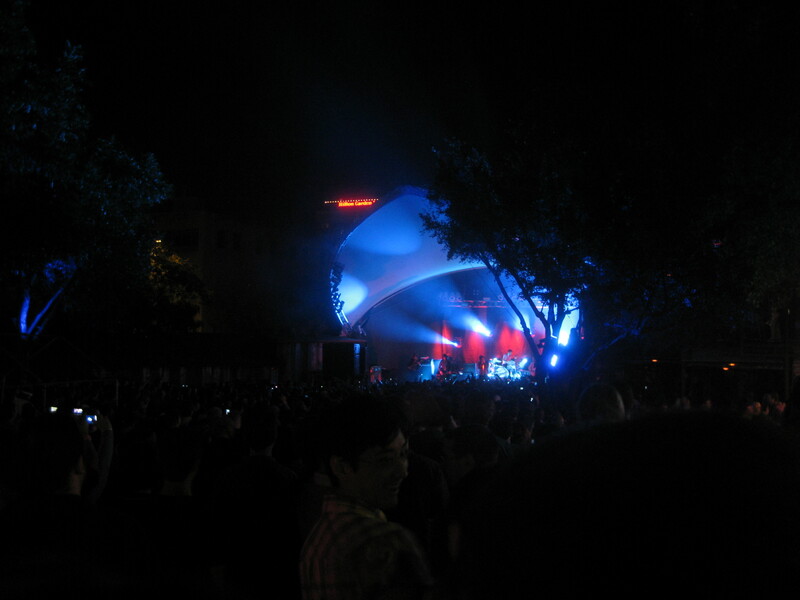 Having thousands of people mash in to see Vampire Weekend caused quite a mess, and with a long sweaty day and an aftershow to get to, we decided to bail out after a few songs and head back to the hotel before walking to Stubb’s. I’m more of a fan of Vampire Weekend’s self-titled album than their latest release, check out “A-Punk“. The Monsters of Folk aftershow was certainly something I was looking forward to. The “supergroup” made up of Jim James of My Morning Jacket, Conor Oberst from Bright Eyes, and M. Ward promised to be great with the freedom of a full set, rather than a pared down festival set. The combination of all three voices, haunting in their own way, made for 2 and a half hours of spectacular music. A highlight for me was them playing My Morning Jacket’s “Golden“, one of my favorite songs. Check out their album and don’t miss “Ahead of the Curve“. By the time Monsters of Folk finished their set, it was 12:30, Portland’s Blind Pilot were scheduled to start playing at 1:20AM. My cousin-in-law drives the tour bus for Blind Pilot, and before Monsters of Folk, we had a chance to chat and I jumped at the chance to take a tour of the tour bus. It’s a antique school bus that’s been converted. Other than the fact that there is a governor that keeps it from exceeding 60 mph, I think it would be a great way to tour the U.S. Check out his tour blog. After a long day of standing, and burning in the sun, the 1:20AM Blind Pilot set ended up being too late and too crowded to deal with, and I knew I’d be seeing their festival set on Sunday, so we bailed on the set. In hindsight, I guess I regret it, but at the time with aching feet, back, and cramped into the basement of a building full of people it was certainly justified. More on Blind Pilot on Sunday’s recap. 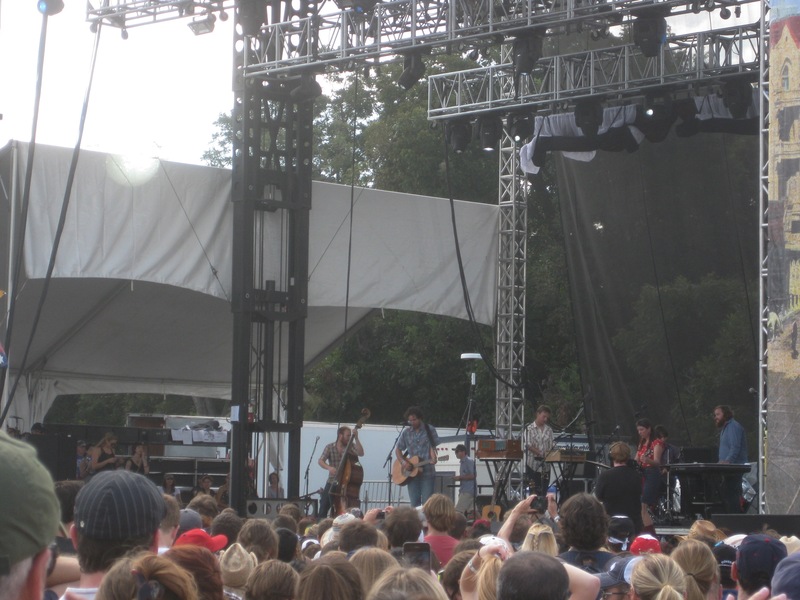 I went to the Austin City Limits Music Festival in 2005 and every year since I’ve seen it come and go wishing I made the effort to get there again. 2010 was the year. The lineup was solid, not as much in the headliner department, but the mid-major and small time bands made up for the lack of power at the top. Tickets were purchased, travel was arranged, it was on. 2005 is rather legendary in ACL lore because the festival was happening as Hurricane Rita (the follow-up to Katrina) was threatening to hit Houston. Thousands of people had already flood the gulf coast for Houston and along with thousands of Houston area residents, they flocked to Austin. The temperatures in Austin in September of 2005 were already smoldering, but adding the hot air blowing in off the the gulf it was unbearable for this guy from Alaska. The 2010 festival was scheduled for October and promised to be be cooler…and no hurricane. Technology has come a long way since September of 2005 too. The phone I carried and the roaming service I had allowed only for voice calls while roaming. No texting, no data. Fast forward to 2010 and not only do I have texting and data, but I’m tweeting, uploading pictures, and keeping all my non ACL-attending friends jealous of my trip. Traveling to Austin from Anchorage consisted of 3 flights. Leaving Anchorage in the middle of the night, landing in Portland too early in the morning for Coffee People to be open, a terribly turbulent flight in to San Jose, and a pretty uneventful hop from San Jose to Austin. Arriving early in the afternoon on Wednesday, the only thing on the agenda was to catch some sleep and get up and out in time to catch The Strokes play an official Pre-Show Show at Stubb’s BBQ. There was very little information about The Strokes’ show, I had been to the venue before and knew exactly where it was, but there was no information about any opener or what time the band would start playing, only that the doors opened at 7. We arrived at Stubb’s shortly after 7 and there was a line wrapped around the building of people waiting to get in. My days of being early, camping out, or pushing my way to the front of the stage are long behind me, but even with the line ahead of us, we managed to be pretty close to the stage in the standing room only backyard of Stubb’s. The crowd continued to grow and grow and get more and more restless as minutes and hours passed without any sign of when The Strokes would take the stage. All in all it ended up being 2 and a half hours after the doors opened that they finally took the stage. The moment they ran onto the stage the crowd abruptly shifted. I’m no small guy and I was not in control of where I was headed as what felt like the entire crowd jumped 20 feet closer to the stage. Between the smell of humanity, the tiredness of having traveled all night, and the dust cloud that was created, fairly quickly into their set, we retreated towards the back of the crowd where there was not only more oxygen, room, and access to beers, but higher ground to see the stage better. The Strokes are good. They’ve never been a favorite band of mine, but I like their music. I recommend seeing them if you have the chance; but don’t worry about being on time and don’t bother being close to the stage, the 19 year old hipsters have that market covered. They are a solid live act, even acknowledging the crowd a few times… At the end of their ~hour-long set they ran off of the stage as quickly as they ran onto the stage to start. And finally it was time to sleep.